A total of 89 frescos from ancient tombs, divided into 12 groups, are being displayed at an exhibition unveiled at the Shanghai Museum on Wednesday. 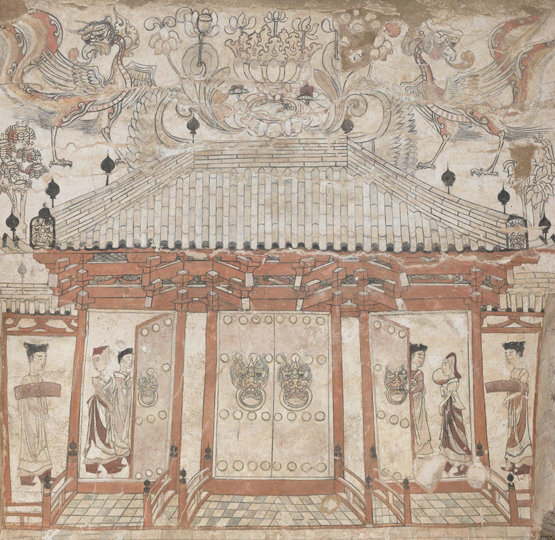 The frescos are from Shanxi Museum's collections, covering pieces from the Northern, Song and Jin dynasties (386-1234). The exchange and integration of farming and nomadic cultures in Shanxi during the three dynasties was aesthetically depicted in these works. Hunting and ceremonies are main themes of the tomb frescos from the Northern Dynasty. Other frescos featured daily life of the dead buried in the tomb. The exhibition will run until March 4, and also includes a series of related lectures on the frescos.